Hi All! 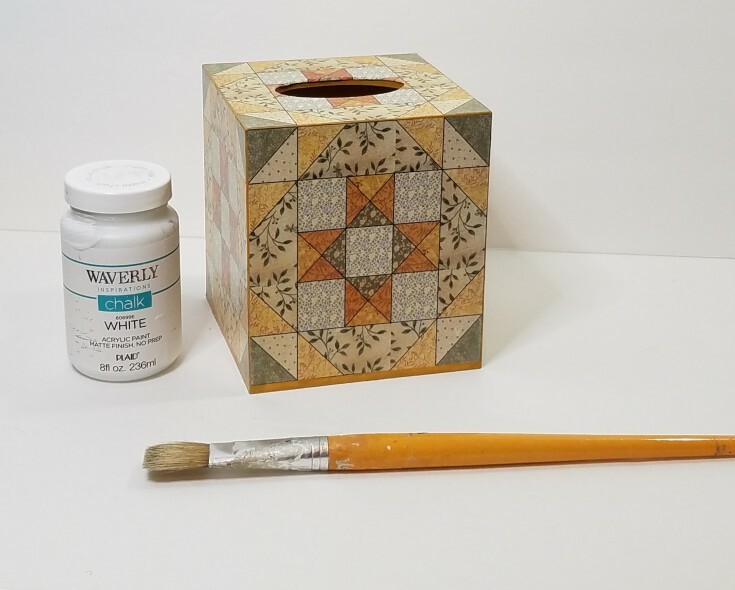 Today I am going to share a Kleenex box cover makeover. 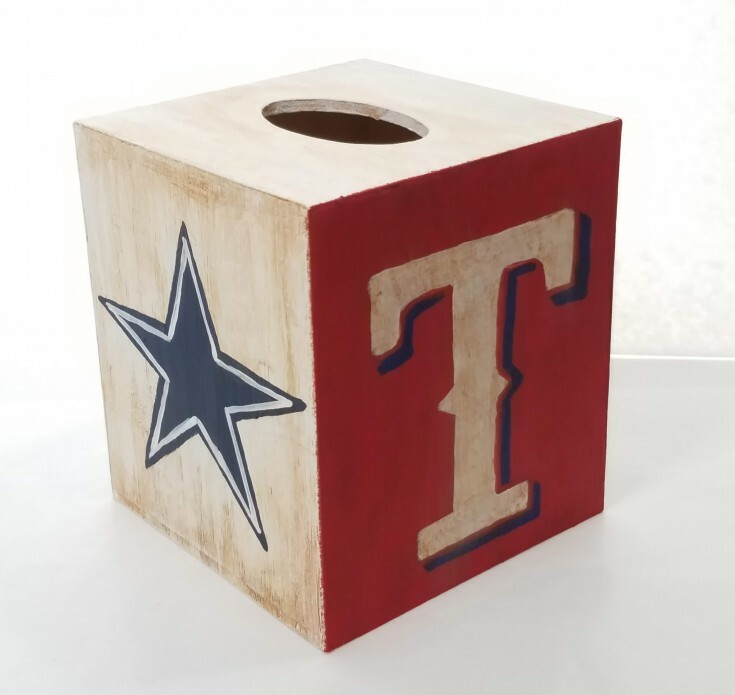 This is the box cover that the hubby picked up when we were on our Wimberley trip. 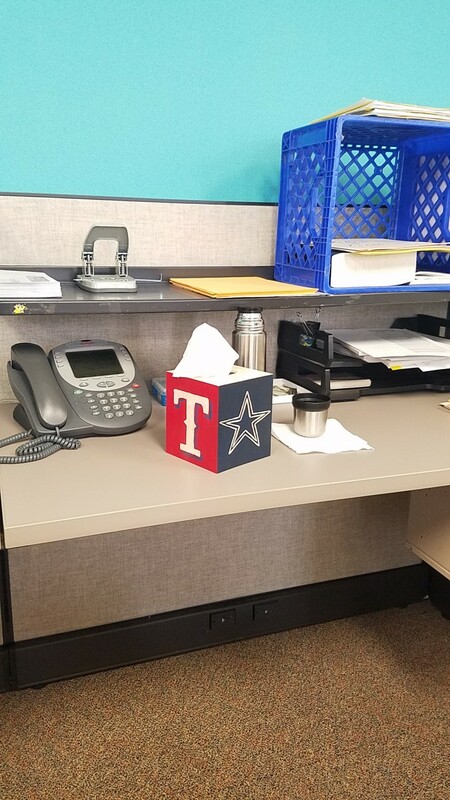 He wants it for his desk at work, and he wants his two favorite teams on it. 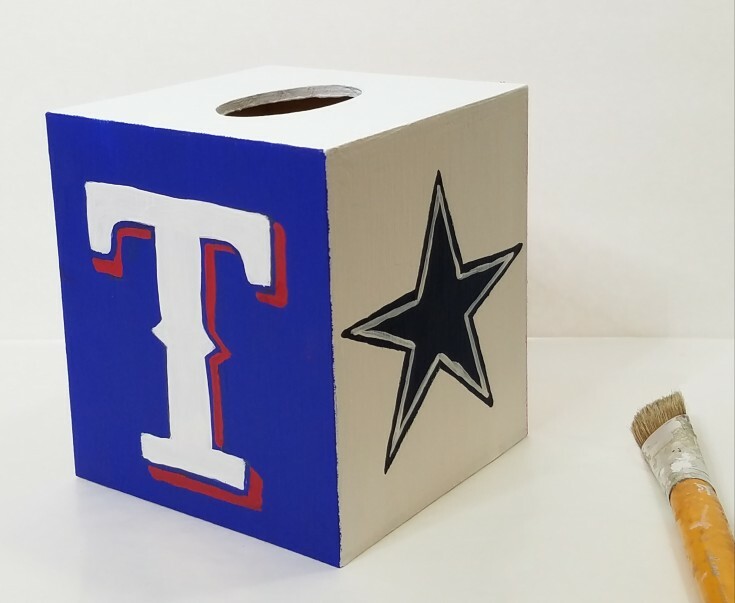 So, I will be making over this tissue cover box into a Dallas Cowboys Texas Rangers tissue box cover. Since it has four sides and each team has two uniform colors, I will be painting the sides to match the team’s colors. 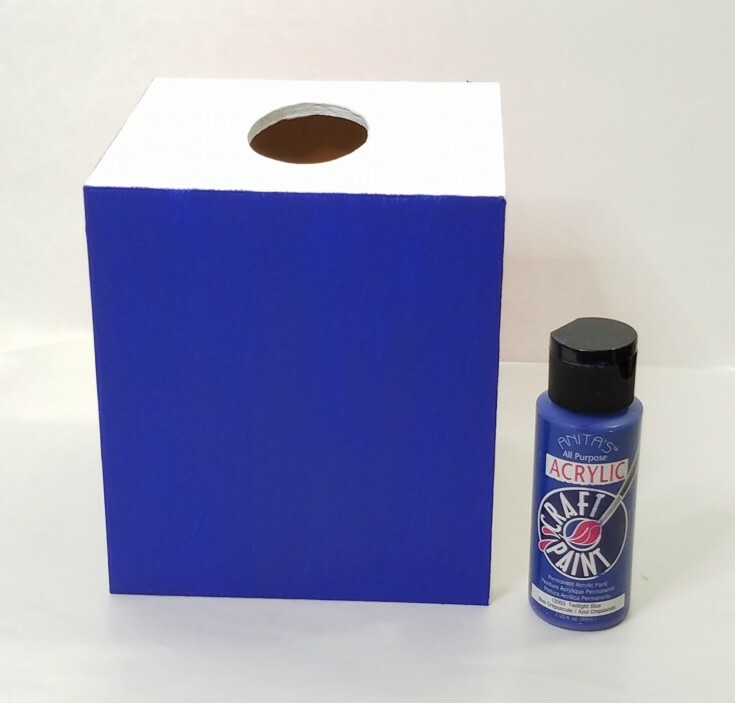 To get started on this project I first washed and dried the box. Then gave it two cots of white chalk paint. I chose chalk paint because it adheres to almost anything. 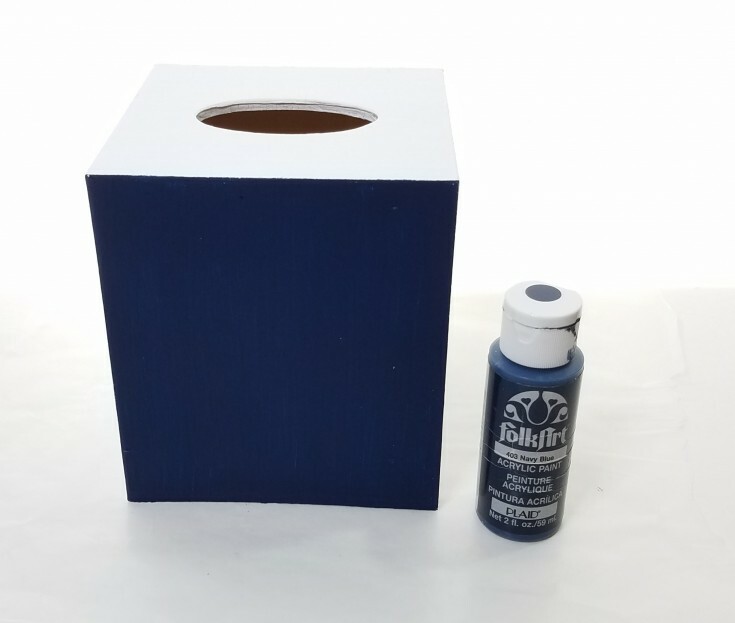 With the contact paper that’s already on it I will need something that would stick to it and cover it well before adding the acrylic paint colors. Once dry I proceeded to add the team’s colors. Dark blue on one side, leaving the opposite side white. 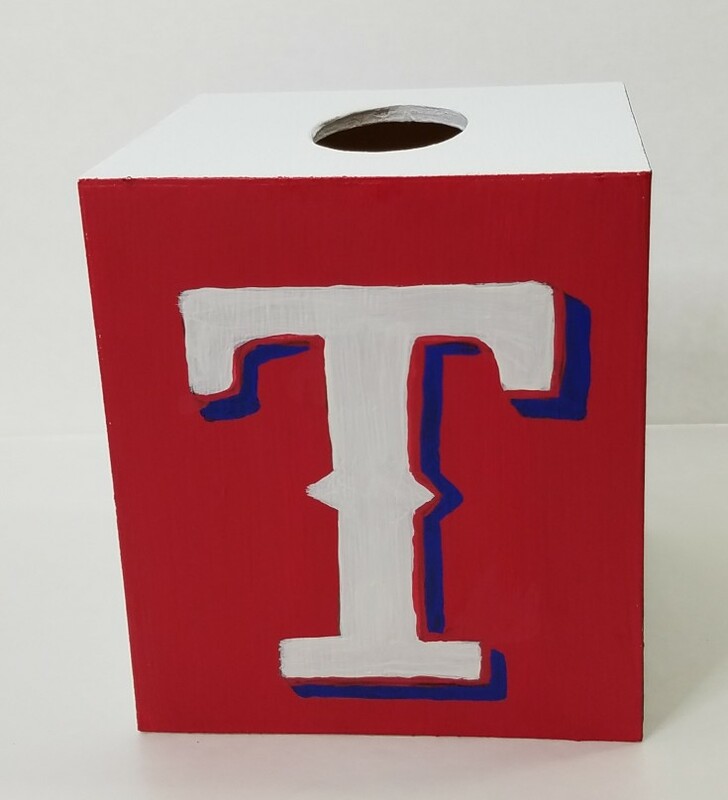 Than for the Rangers, one side was painted red, and the opposite side a bright blue. 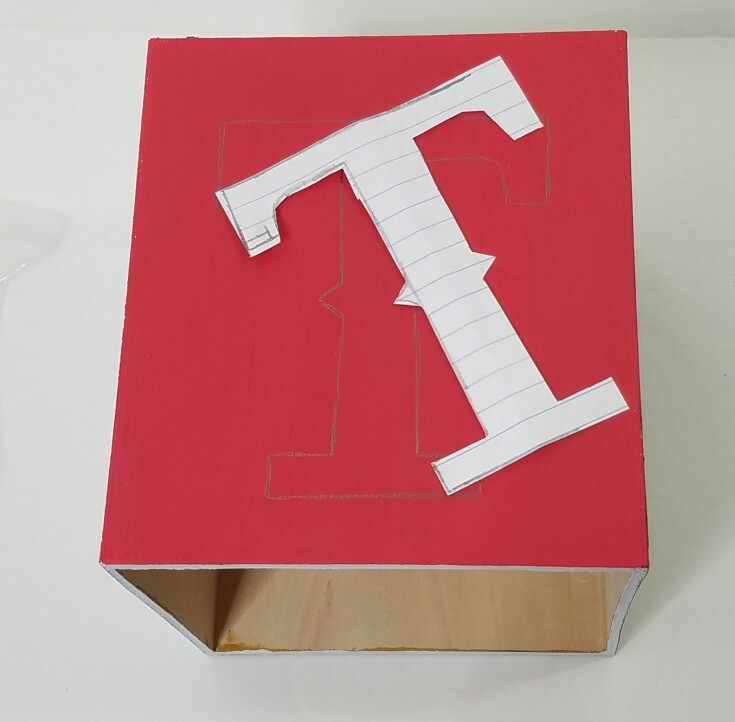 Since I didn’t have the correct size of fonts of the letter T stencil I made my own in the size and font needed. Then I just traced around them and filled them in with white. 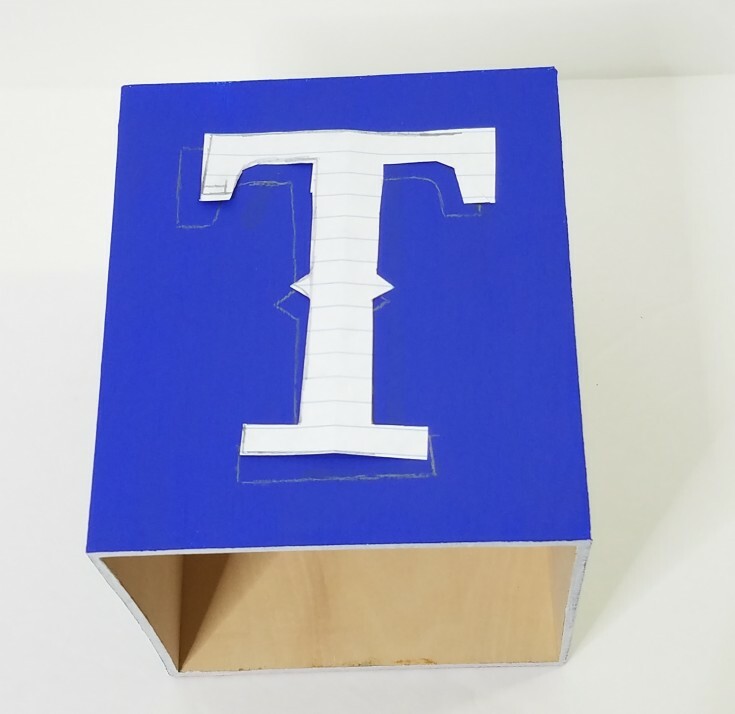 The T is for the Texas Rangers baseball team and goes on the red and bright blue sides. 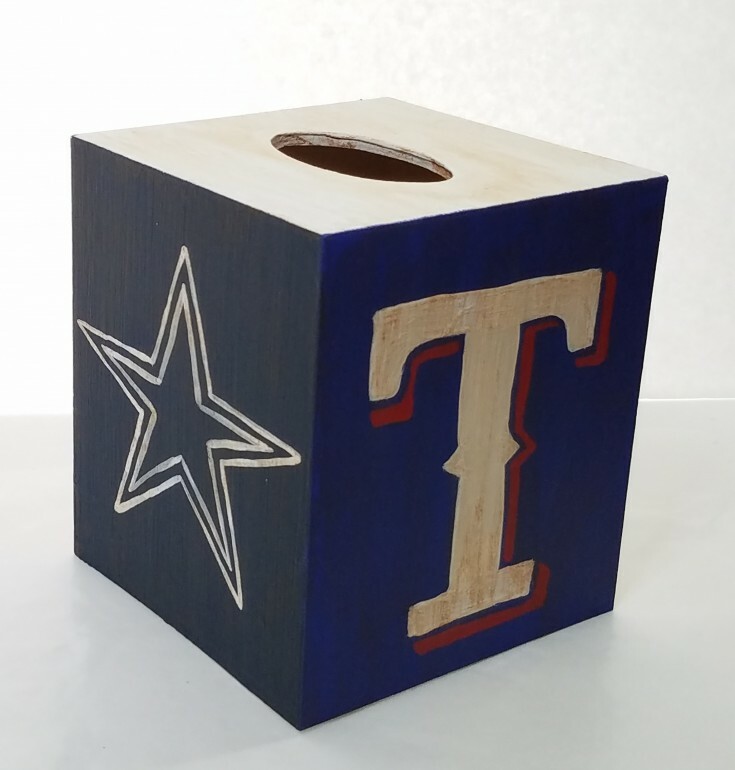 Once the T’s were dry I then added the details with the red on blue along side of the white T, and blue on red alongside of the other white T.
For the Dallas Cowboys I cut a star out the size that I needed then traced around it on the white side of the tissue box cover, and one on the navy-blue side. 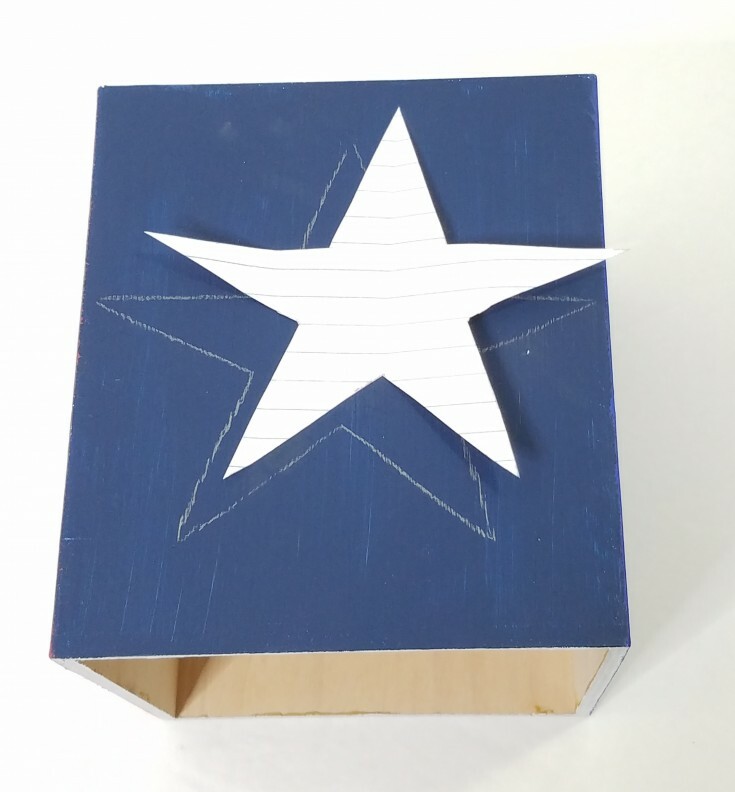 For the details I just used a small brush and added an outline of a white star inside the blue star. 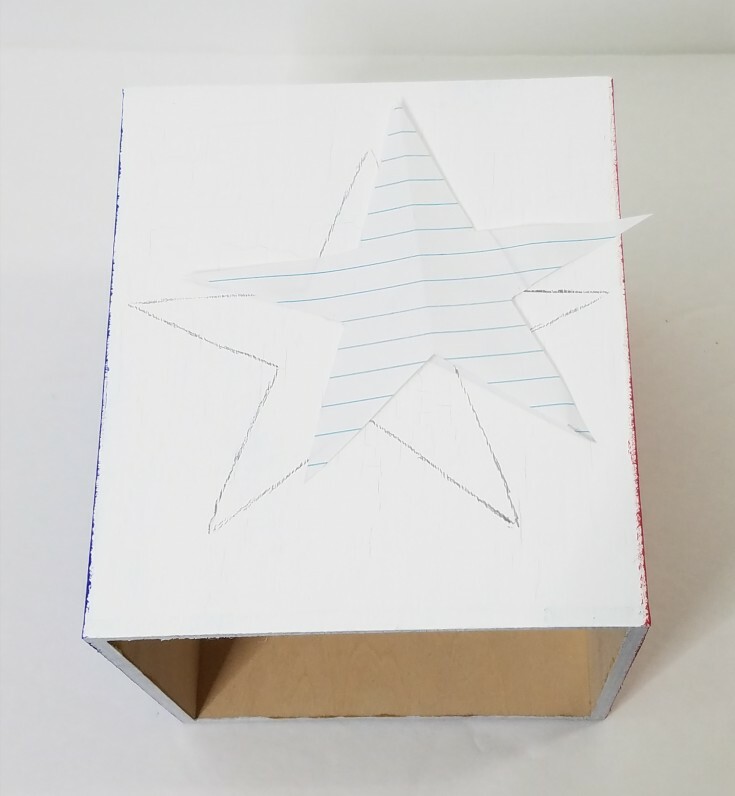 On the blue side I outlined two white stars. One inside the other. 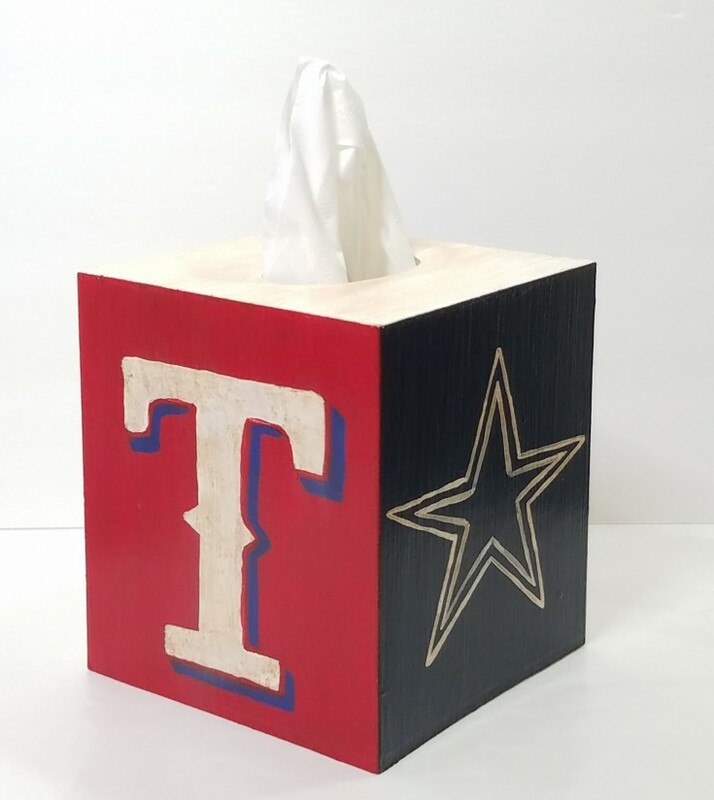 Just a couple more things to do to the Dallas Cowboys Texas Rangers Tissue Box Cover. If you have been following along with me for a little while than you know that I love my antiquing medium. So, I watered some down and added it working on one side at a time then wiping some of it off. I antiqued the top as well. The white side and top absorbed the antiquing a little more then I wanted. But I think it came out ok, and the hubby loved it. So that’s all that matters, after all it’s for him. Last came the Mod Podge, can’t forget that. 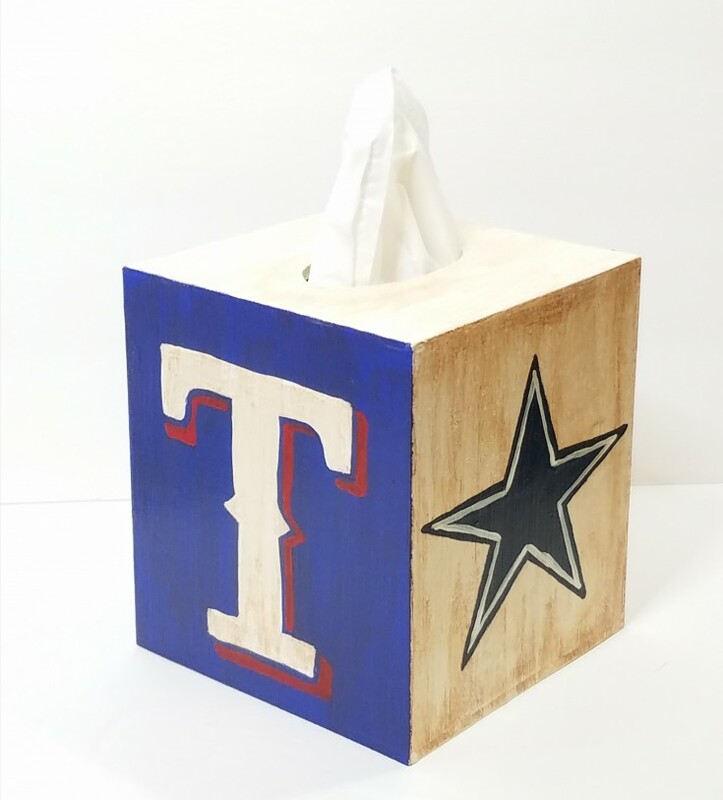 Great for sealing and protecting, and that’s it for the Dallas Cowboys Texas Rangers Tissue Box Cover. 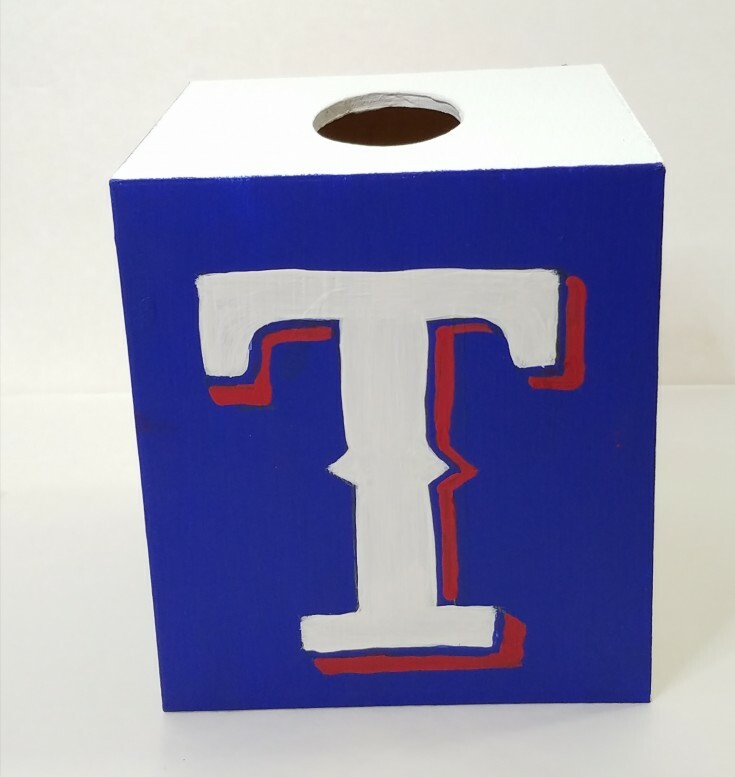 Have you made over a tissue box cover before? 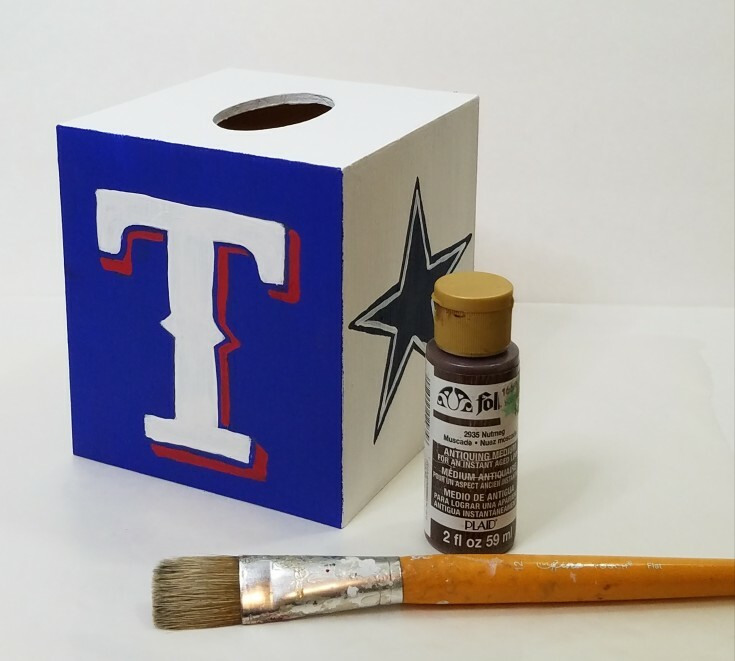 More Fun Diy Projects for Sports Enthusiast! Linda this came out really great and I know your husband must love it. The antiquing creme really gives it a nice patina. Personalized gifts are the best! I envy your steady hand Linda, my letters and stars would be wobbling all over the place if I had to try and paint them on. Love how the tissue box turned out and I agree with your hubby, the antiquing looks great. It makes it look more authentic and filled with character. Linda, I agree with Michelle…you certainly look like you have a steady hand. I definitely don’t see any flaws! 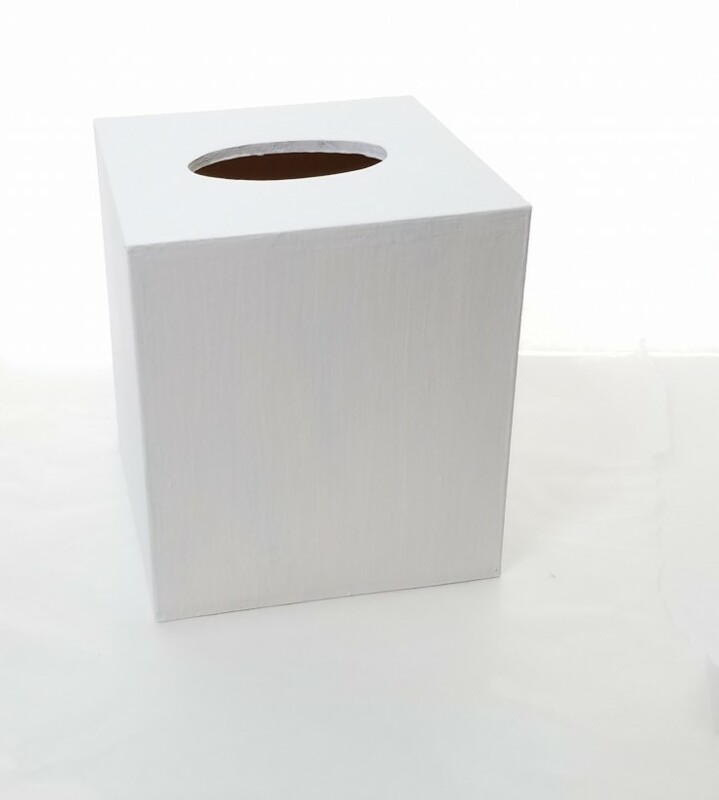 You did a great job on the tissue box holder! And your hubby likes it too! Anything handmade like that is sure to be pleasing.. I like the way you created the shadows on the letters. I’ve never been any good at figuring out which side to put them on, LOL! Nice job! Here in Maine, I have a friend who loves the Dallas Cowboys; I have bought her several DC gifts. This would be great for her–navy, gray, and white.